GH deficiency in adults occurs because of some type of injury to the pituitary gland. GH is the first hormone to be affected if the pituitary gland is injured. Injury usually can occur because of the presence of a pituitary tumor, or pituitary surgery or pituitary irradiation. It can also be caused by trauma to the gland or, very rarely, inflammation. In 2008, Dr. Friedman and his colleagues published a paper showing that small pituitary tumors (called incidentalomas) may also cause growth hormone deficiency. 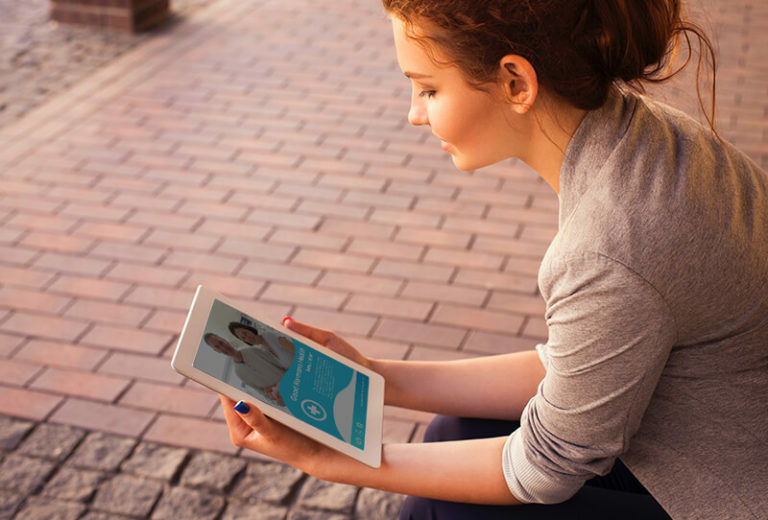 Growth hormone stimulation tests are needed to diagnose growth hormone deficiency. 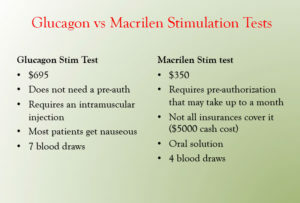 Dr. Friedman uses two tests, the glucagon stimulation test and the newer Macrilen stimulation test. Both tests work by stimulating growth hormone release from the pituitary. The glucagon test requires an intramuscular shot of glucagon and blood is drawn at 0, 90, 120, 150, 180, 210 and 240 min. The main side effect of glucagon is nausea. The Endocrine Society recommends a cut-off of a growth hormone level < 3.0 although Dr. Friedman often recommends a trial of growth hormone for a peak GH level < 5.0 mg/mL. Macrilen is an oral solution that is given following an 8 hour fast. Blood samples for GH are drawn at 30, 60, 90 and 120 min. The main side effect of Macrilen is a bad taste in one’s mouth (dysgeusia), with dizziness and headache also occurring. 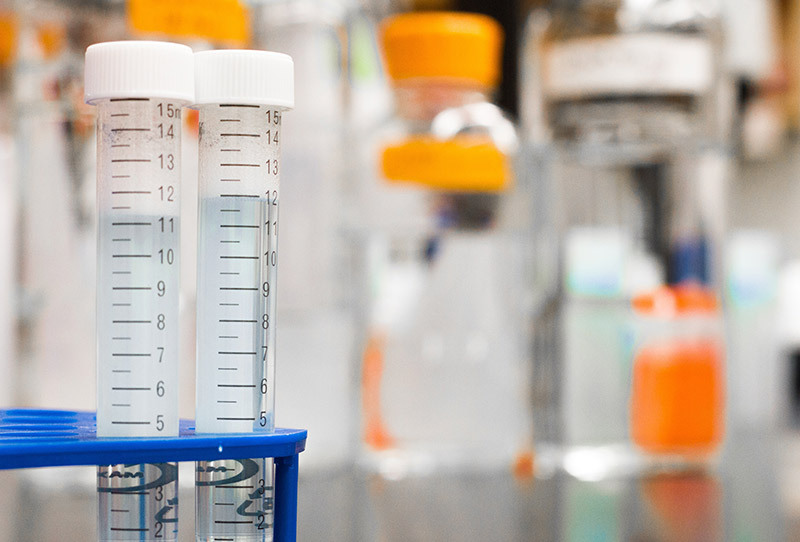 The FDA has set a cutoff for the Macrilen test of the peak GH level <2.8 ng/mL, although the paper in Journal of Clinical Endocrinology and Metabolism found that a GH level of 5.1 ng/mL gave the highest separation between normal and growth hormone deficient subjects. Dr. Friedman may start a trial of growth hormone on patients whose peak response between 2.8 and 5.1 ng/mL.